Parrot can do a lot more than create awesome drones that fly and robots that can jump high into the air. 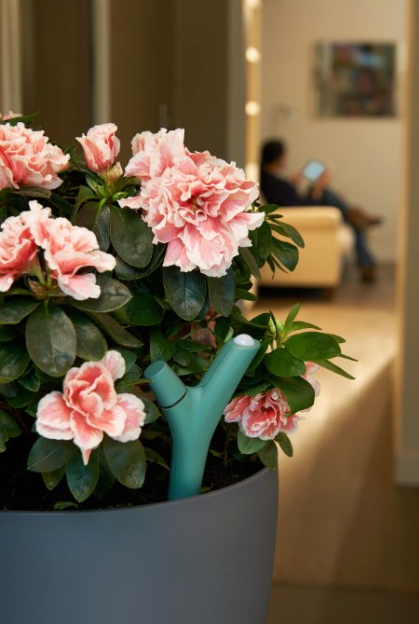 First introduced back at CES 2013, the company’s Flower Power finally hit the market in late last year. If the name didn’t tip you off, the device is basically a plantable Bluetooth sensor for flowers, plants, and vegetables. Shaped like a small twig, you can select from a brown, green, or blue version of Flower Power. Setting it up is simple, just like with other Bluetooth 4.0 devices. Place the AAA battery into one end, and it's ready to connect with your iOS device. With normal use, the battery can last up to six months, which is definitely impressive. 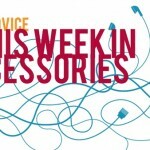 First, and most importantly, you’ll need to place the device in a pot. While it’s waterproof, and can be used both inside and outside, I tried Flower Power out with two different houseplants – a festive Poinsettia and a Croton. Four different sensors placed throughout Flower Power are designed measure sunlight, soil moisture, fertilizer, and air temperature. In my testing, all four sensors seemed to work accurately, even in a wide variety of conditions. Data is taken every 15 minutes by the sensors, and the information is sent to your iOS device every two hours if it is in range. If it’s not, don’t worry, the Flower Power can store up to 80 days of data points. Because there isn’t a lot to the actual Flower Power itself, you’ll be interacting with data through the companion app that can be downloaded now in the App Store for free. It's designed for the iPhone/iPod touch. Getting setup with the app is simple. 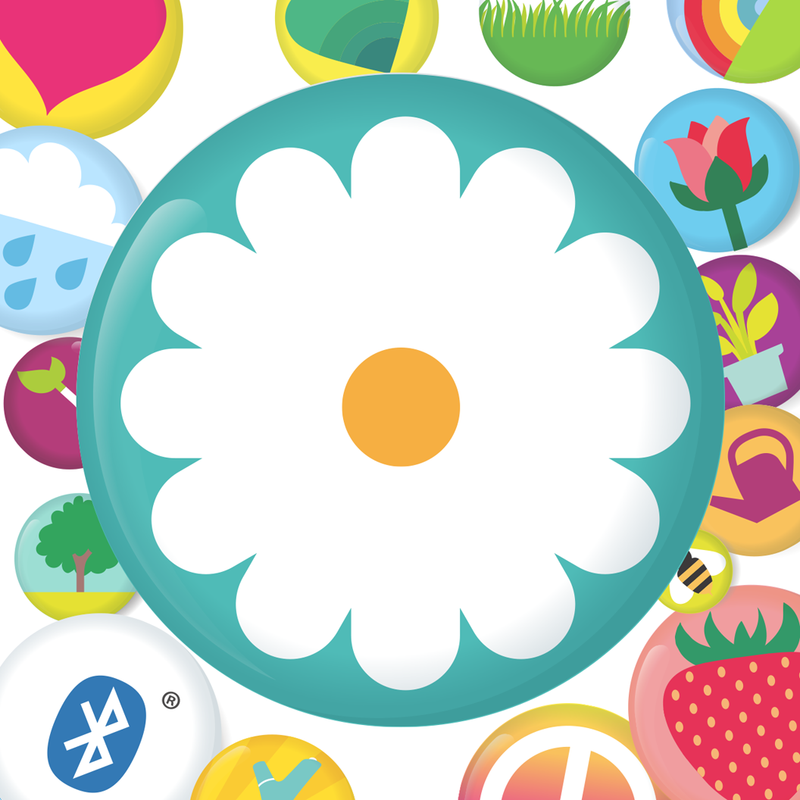 After you’ve connected Flower Power to your device, simply select the New Plant button. In that menu, you’ll use the included database to select which type of plant you want to monitor. You’ll also need to indicate where the plant is located and whether it’s in a pot or regular soil. There are more than 6,000 different types of plants, flowers, and vegetables in the extensive database, so you’ll definitely be able to find what you need. Along with the scientific name, each entry contains the common name of the plant, a short description, and some basic plant needs. Thankfully, you can keep an eye on a number of devices with the app, just set up each new Flower Power and plant as needed. For the first 24 hours, Flower Power is in learning mode to better recommend what the plant needs. If you can’t be patient, the Live Mode will show you a graph of exactly how the plant is doing. After the first day, you’ll be greeted with recommended to-do items. For example, as you can see, my Croton needs to be fertilized and moved to a sunnier spot inside my house. It will event let you know if the plant needs to be moved to a shadier area or is over fertilized. Once completing the tasks, Flower Power will continue to monitor the conditions and use push notifications to tell you what the plant needs. I could really only find one downside with the device, even though it’s a pretty small one. Even though Flower Power knows exactly what it is monitoring, the recommendations aren’t extremely specific. It will just tell you that a plant needs more water or fertilizer, without giving an exact amount. While that might bother some, I wasn’t concerned with it at all. Trial and error is part of learning how to be a good gardener, and the Flower Power helps make that process a lot easier, even for the most inexperienced. And if your plant is currently doing fine, the app can still be useful. With the plan ahead feature, the app monitors conditions and lets you know in how many days fertilizer or water will be needed. In my testing, I really enjoyed the Flower Power. It accurately measured the conditions, and both plants are doing really well. Easy to setup with the well-designed companion app. Does a nice job telling you exactly what the plant needs and when. Powered by one AAA battery that can last for up to 6 months with normal usage. Waterproof and designed to work both inside and outside. Massive database with more than 6,000 different types of plants, flowers, and vegetables. Prohibitively expensive to monitor a number of plants. If you’re looking for little help to turn your black thumb green, Flower Power is highly recommended. The entire system was easy to setup and did a nice job telling me exactly what my plant needed to be healthy and happy. And while the high cost makes it prohibitively expensive to have a stable of these sensors in your garden, just one or two should help get your plants on the right track. While I’ve only been able to test out the device inside, I can’t wait for spring here in Texas and the chance to use it in the great outdoors. I’ve received a new Jack Daniels whiskey barrel planter for Christmas, and the Flower Power already has a prime place reserved inside it when the weather gets warmer. Aesthetic Appeal: ★★★★☆ Wow Factor: ★★★★★ Build Quality: ★★★★☆ Value: ★★★☆☆ Buy Now: $59.99, Amazon.com. Available in brown, blue, or green.